Affirmative has partnered with Microsoft, the dominant leader in office productivity. Everyday billions of people use Microsoft Office so Affirmative has made the software available as our core productivity suite for YEScloud (Desktop as a Service) DaaS managed cloud solutions. Microsoft Office is more than Word and Excel. Microsoft Office helps people collaborate, share, design, write, draw, calculate, present and organize, which can save lots of time. Microsoft software is costly, which can deter prospective buyers. Affirmative has the solution! As a Microsoft partner we can provide your business with not only the current versions of Microsoft Office software but with any future versions at no additional fee. Think of it as a lease; you can use this software as long as you are a current Affirmative YEScloud subscriber. Microsoft Office 2013 is the current version of the software and it is available in Standard or Professional as an add-on to all Affirmative DaaS and IaaS cloud products. 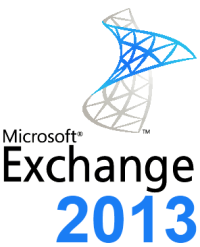 Microsoft Exchange server is an e-mail-based collaborative communications server designed to interoperate with Microsoft Outlook/Entourage, Microsoft Outlook Web Access (OWA Webmail) and various mobile devices such as Windows Mobile, IPhone and Android. Unlike POP3 email, Exchange accounts include integrated collaborative messaging features that extend e-mail to include scheduling, contact management, folder sharing, and task management functionality. Coupled with Microsoft Outlook/Entourage, Affirmative’s Hosted Exchange provides valuable messaging features that go beyond simple e-mail and allow business users to take control of their inbox. Affirmative eliminates the complexity and resources required to implement and run Microsoft Exchange by offering it as a hosted service. Affirmative customers can enjoy the benefits of Microsoft Exchange with a class-leading 25GB standard mailbox size and the benefit of customizable SPAM email filtering. Whether it’s sales, marketing or accounting, your team can create a Microsoft SharePoint site for their various projects, and manage them more easily and efficiently. SharePoint ensures employees always have accurate and up-to-date information on projects, making it easier for them to share, control, and reuse this information. Using SharePoint to organize documents makes it easy for employees to rapidly find information that would otherwise remain inaccessible on an employee’s local computer. SharePoint provides everything you need to successfully create and manage an intranet website to communicate important internal information such as announcements, HR policies and corporate mission and vision statements. In a nutshell, users can easily access and share ideas, information, conversations, and schedule–around the office or around the world. 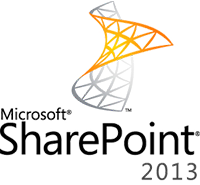 Affirmative offers hosted Microsoft SharePoint in a variety of site sizes from 1GB to 100GB to fit your companies’ needs. 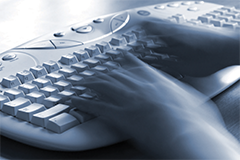 Experience the power of efficient communications with Affirmative’s hosted Lync 2010. Microsoft Lync is a unified, enterprise-ready instant messaging and collaboration application which brings you all the benefits of simplified business communications. Lync 2010’s advanced Web conferencing and sharing features, as well as its seamless integration with hosted Exchange 2010, will drive your productivity to new heights and save you money. No matter where they are in the world, colleagues can work face to face thanks to Lync 2010’s enhanced Web conferencing experience. This translates into significantly reduced travel, training and conference charges. Affirmative offers hosted Microsoft Lync 2010 as part of its Microsoft Productivity Suite 2010, an available add-on to all Affirmative DaaS and IaaS cloud products.